My mom gave me a Ben Owen III vase for Christmas 1999. Unfortunately, the vase got involved in a minor skirmish with another work of art and was damaged. I was able to repair the damage, but when I told my mom about it, she offered to acquire the vase back from me. In its place, I acquired this vase. 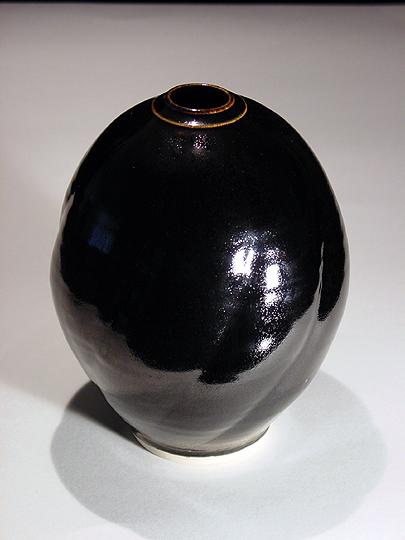 This vase has been fired with a black glaze all over, except for a pair of thin rings surrounding the top of the vase. This is a very nice example of Ben's work.